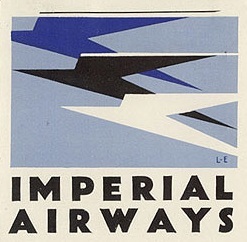 Imperial Airways’ “Speedbird” logo by Theyre Lee-Elliott, from a baggage label, 1933. 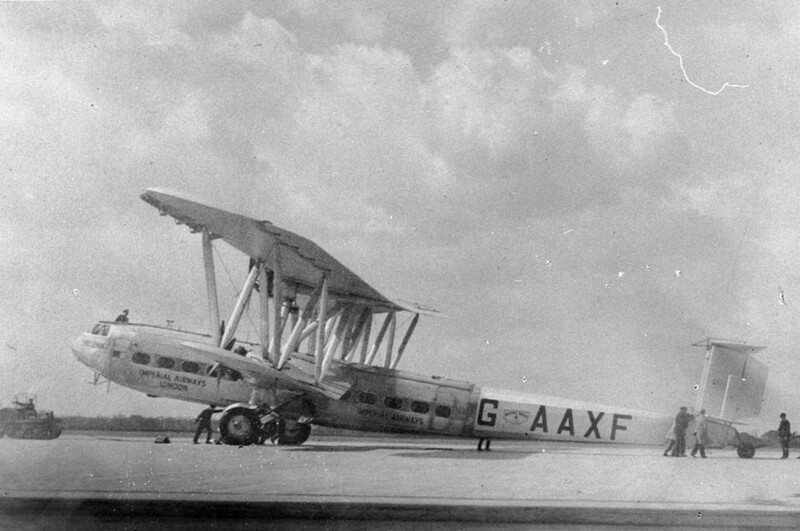 20 January 1932: Imperial Airways’ Handley Page HP.42, G-AAXF, named Helena, departed Croydon Aerodrome, South London, England, on the first leg of the airline’s new transcontinental mail service to South Africa. 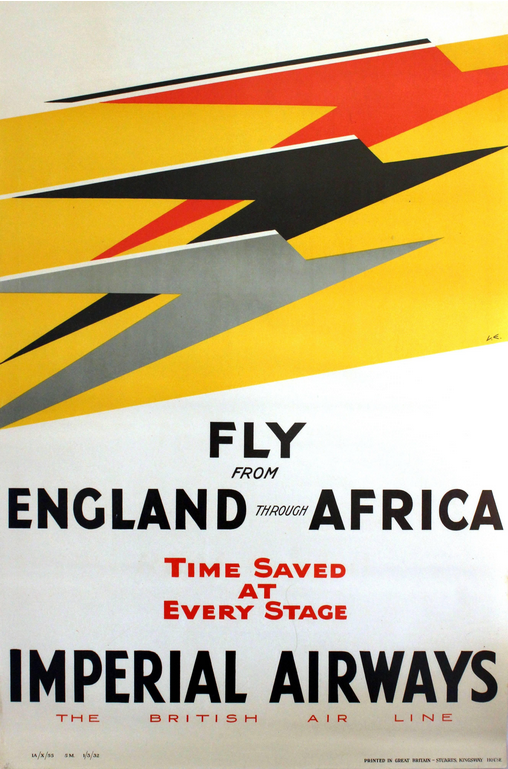 The flights would leave Croydon at 12:30 p.m. on Wednesday and arrive at Cape Town on Friday, ten days later. 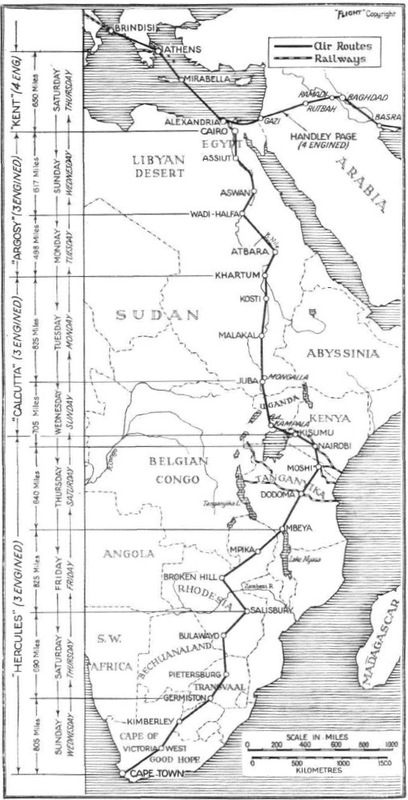 The route was London, Cairo, Khartoum, Juba, Nairobi, Mbeya, Salisbury, Johannesburg and Cape Town. The initial flights carried mail only, but scheduled passenger service was soon added. The cost of the flight from London to Cape Town was £130. 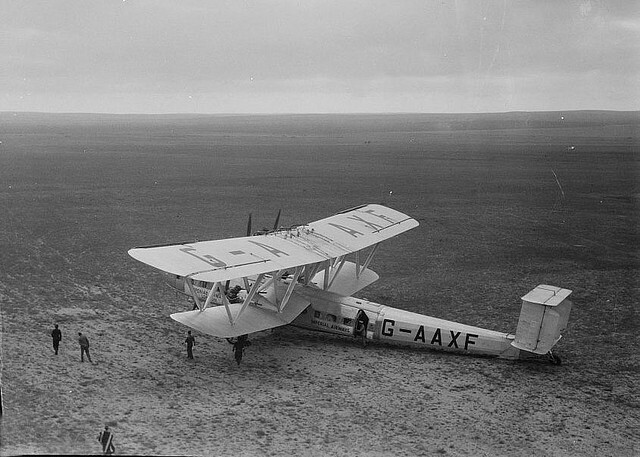 The HP.42 was a large four-engine biplane built by Handley Page Limited, Hertfordshire, for Imperial Airlines’ long-distance routes. There were two models, the HP.42, for the eastern routes to India and Africa, and the HP.45 for the western flight. 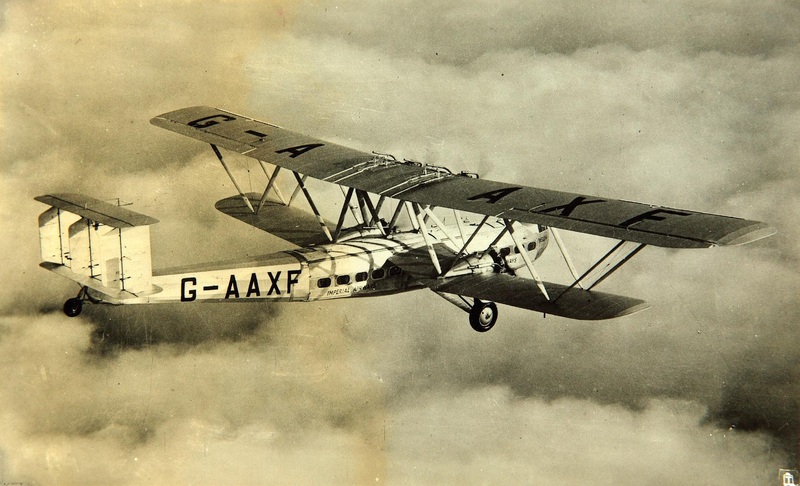 (Imperial Airways designated them as “H.P. 42E” and “H.P. 45W.”) The HP.42 could carry 20 passengers and a large amount of baggage. The HP. 45 could carry up to 38 passengers, but less baggage. The variants used different engines. Two of the HP.45 variant, of which Helena was one, were converted to the HP.42 configuration. 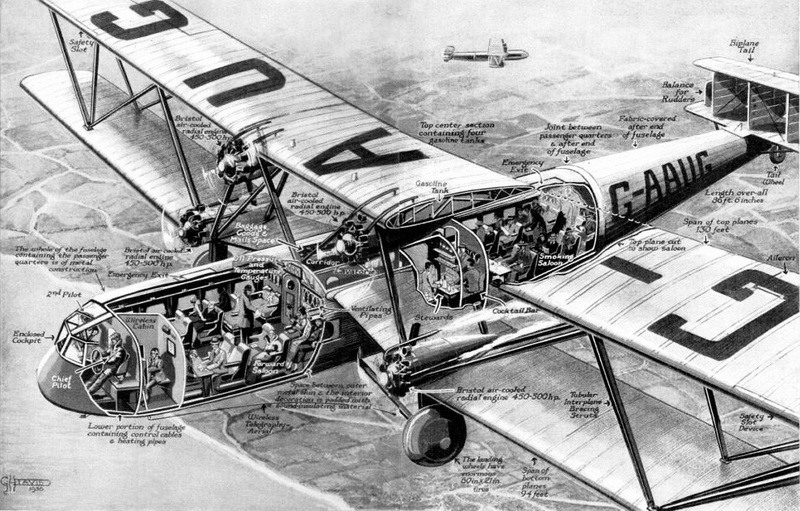 Cutaway Illustration of a Handley Page HP.42, by George Horace Davis, 1930. The HP.42 was powered by four air-cooled, supercharged 1,752.788-cubic-inch-displacement (28.723 liter) Bristol Jupiter XI F 9-cylinder radial engines with a compression ratio of 5:1, which had a normal power rating of 460 horsepower at 2,000 r.p.m., and produced a maximum of 510 horsepower at 2,250 r.p.m., each. Two engines were mounted in nacelles between the upper and lower wings, and two were mounted on the lower wing. All four engines were left-hand tractors, driving four-bladed propellers through a 2:1 gear reduction. The Jupiter XI weighed 880 pounds (399 kilograms). The throttles were arranged so that the upper engines could go to full throttle only after the lower engines, rather than simultaneously. The HP.42 had a cruise speed of 96 miles per hour (155 kilometers per hour) and its maximum speed was 120 miles per hour (193 kilometers per hour). The airliner’s range was 500 miles (805 kilometers). Several aircraft were placed in service with the Royal Air Force at the beginning of World War II. Helena was damaged in a hard landing, and after inspection, was scrapped. By 1941, all HP.42s had been destroyed.